(1 Customer Reviews) | Write Review 6 issues per year Jump on the saddle! 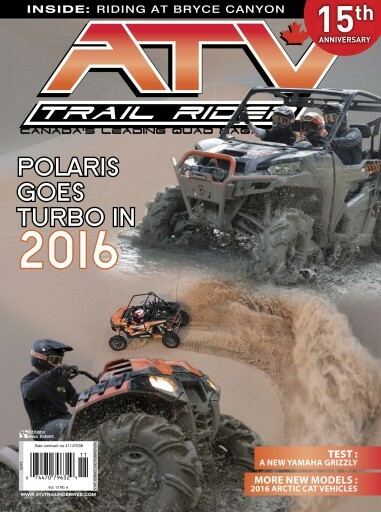 ATV Trail Rider magazine, the number one paid subscription ATV magazine in Canada, will ride along with you! Its dynamic team travels the world seeking the freshest news in the industry and testing the newest models. Captivating images presented in a clean high quality fashion and technical content that is clear and practical, make it a must for any quad enthusiast. The magazine's many loyal subscribers attest to its appeal. ATV Trail Rider is at the forefront of an exciting market segment that can be interesting to all. Jump on the saddle! 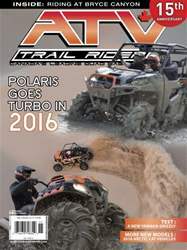 ATV Trail Rider magazine, the number one paid subscription ATV magazine in Canada, will ride along with you! You'll receive 6 issues during a 1 year ATV Trail Rider magazine subscription. You'll receive 6 issues during a 1 year ATV Trail Rider magazine print subscription.